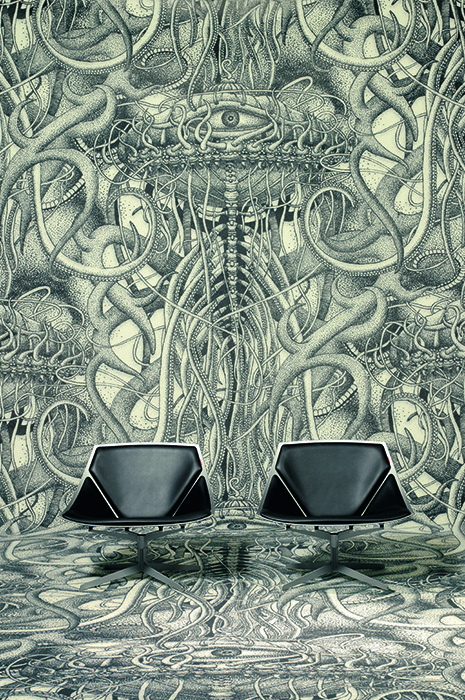 This is the ninth chapter of The Ultimate Guide to Carpets. Flooring can be a major component in any interior project budget, so how does commercial carpet rate in cost terms against alternative floorcoverings such as timber, stone or tile? The answer is basically “How long is a piece of string?” There are so many variables in carpet, from construction and type of backing to custom design and installation costs, that there’s no simple set answer. Wall to wall carpet is generally more expensive than carpet tiles, both in initial costs and especially in total costs due to differences in installation difficulty, waste and time. 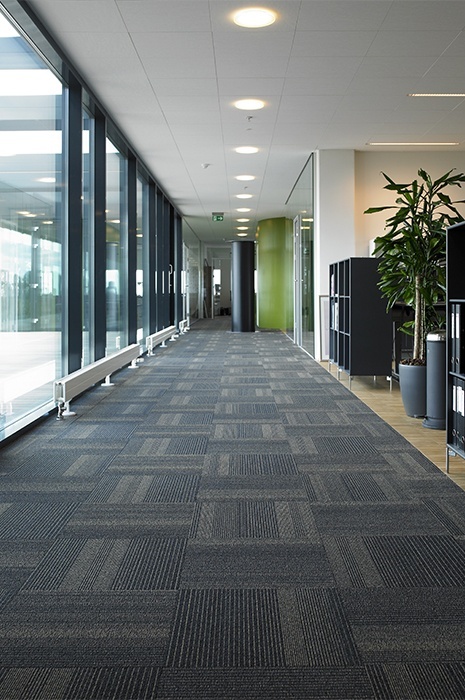 Some pre-dyed wall to wall carpet in certain qualities will have initial costs equal to carpet tiles. The type of fibre used – from natural wool to several different types of nylon – also affects the cost of carpet, with natural fibres generally being more expensive. For wool, prices depend on the pureness and the average length of fibres. For nylon, prices depend on the use of BCF or stable fibres. It also plays a role if the yarns are pre-dyed or not, with pre-dyed yarn generally being less expensive. Carpet backing adds structural stability, shape and protection and the material used, its thickness and firmness, can affect the long-term durability of the carpet. Carpet backing can also act as an integrated underlay so the carpet can be fixed directly to the subfloor reducing the installation costs. All these backing types have different purposes, and different price points, so be sure to consult your carpet supplier to choose the most suitable backing for every situation in your project – such as high and low traffic areas – and that best fits within the overall project budget. Also consider that while some might have higher initial costs, choosing a cheaper carpet backing might mean added expenses for installation, maintenance and replacement – and vice versa. 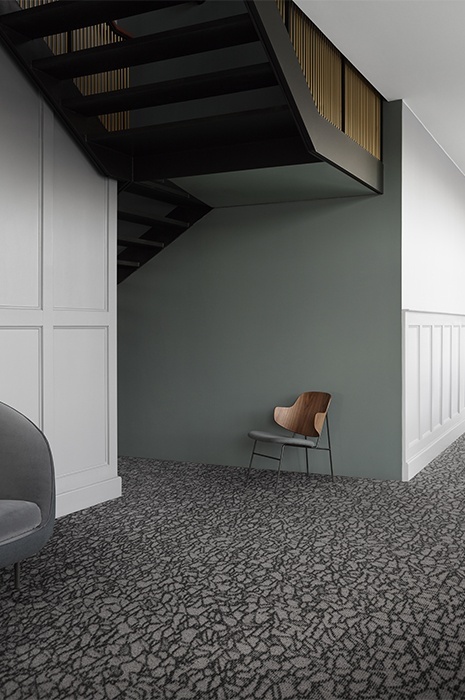 Wall to wall carpet needs to be laid flat in situ for at least 24 hours prior to installation so can add time as well as cost to your project, which you should also consider. Carpet tiles are generally easier to lay and have little wastage, thereby saving both money and time. Installation on perimeter grippers is the most expensive carpet installation technique but provides a cushion-like effect when walking over the carpet, increased footstep suppression, high strength and elasticity, resistance to heavy traffic and a simple and quick replacement of the carpet when needed. Backing: What type and is it pre-attached? How do all the above affect installation? Ready to request a price quote for your next project? Get in touch with us here, we are ready to assist your next project.